Galaxy Perfume voucher codes and discount codes - up to 15% off! Love the feeling of waking up in the morning and spritzing yourself with your favourite scent? Never feel fully dressed without a touch of perfume? With a Galaxy Perfume discount code you can enjoy great savings on a wide range of fragrances along with skincare, make up and more. So whether you like it fruity and floral or rich and spicy, a Galaxy Perfume voucher will have you smelling great for less. Founded in 1999, Galaxy Perfume was established to provide affordable online fragrance shopping for men and women with quality and value in mind. With a fantastic range of over 15,000 designer fragrances to choose from, they're one of the UK's leading online fragrance retailers with thousands of satisfied customers. Because they offer 100% authentic designer fragrances at discounted prices far cheaper than those in the shops, Galaxy Perfume is a great place to get stocked up on your favourite perfume or to try something new for the first time. They've got a great selection for you to choose from, including top fragrances from big name designers like Anais Anais, Roberto Cavalli, Hermes and more, as well as some lesser-known perfumes from smaller, boutique brands. As well as their wide selection of perfume, Galaxy Perfume also stocks a fantastic range of beauty products designed to help you look and feel your very best. From skin care and hair care for both men and women to all the top make up products, there's something to suit every budget and taste. Buying perfume as a gift for someone special? Galaxy Perfume's fantastic gift finder feature lets you enter personal details like star sign or personality and see perfume suggestions based on that information – ideal for those moments when you're lacking in inspiration! There's also a dedicated beauty blog packed full with hints and tips on beauty, skin care, make up and more, as well as a gift reminder service that will let you know whenever there are important birthdays and other events coming up – so you'll never miss a special occasion again! Shopping with Galaxy Perfume is secure, reliable and efficient, with their speedy delivery service ensuring your items arrive in record time. And you can even earn 'Beauty Bucks' as you shop – a fantastic rewards scheme that gives you 10% cashback to spend in store on every purchase. Want to get shopping with Galaxy Perfume? With a Galaxy Perfume discount code you can enjoy great savings on their wide range of perfumes, beauty products and more. So whether you're treating yourself or shopping for someone special, Galaxy Perfume vouchers will save you money while you shop. 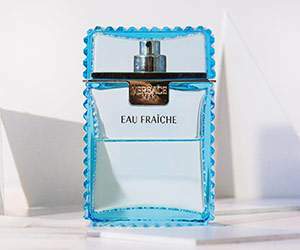 Wide selection of designer fragrances for men and women plus skin care, make up, hair care and more. Browse our website until you find a Galaxy Perfume discount code that suits you, then navigate to their website to begin shopping. Enter your Galaxy Perfume promotional code in the box provided. If you've enjoyed shopping with Galaxy Perfume, you might also like to check out more great deals on beauty products and more at stores like Boots or The Body Shop. Or, if those aren't up your street, you'll find plenty more deals to browse in our Beauty and Health section. Enter your Galaxy Perfume discount code in the box provided. Enter your payment details and click 'Review order' to complete your purchase. Standard UK delivery costs £7.07 on orders up to the value of £71. For orders over the value of £71, a delivery charge of 10% of the order total applies. If you need to return a product for any reason to Galaxy Perfume, you can do so by simply returning your items in their original condition within 60 days of receipt. Need to speak to the team at Galaxy Perfume? Whether you have a question about your order, want some assistance choosing a gift or just want to find out more about how you could make big savings with a Galaxy Perfume voucher, you can contact the Customer Services department by accessing the online contact centre here. Buy now online at www.galaxyperfume.co.uk. I wanted a new bottle of my favourite perfume for my birthday, but my husband said it was too expensive. So I decided to leave a Galaxy Perfume discount code lying around! With a Galaxy Perfume voucher you can get a great deal on a wide range of designer fragrances at galaxyperfume.co.uk. Luckily, it worked - he used my Galaxy Perfume vouchers to splash out on a bottle of A Scent by Issay Miyake, so I was a happy wife when my birthday came around.